NPR-ProPublica Investigation: Purple Hearts Elusive For Traumatic Brain Injuries NPR News/ProPublica Investigation: Army commanders have routinely denied Purple Hearts to soldiers who have sustained mild traumatic brain injuries in Iraq, despite regulations that make such wounds eligible for the medal. The U.S. Army honors soldiers wounded or killed in combat with the Purple Heart, a powerful symbol designed to recognize their sacrifice and service. Yet Army commanders have routinely denied Purple Hearts to soldiers who have sustained concussions in Iraq, despite regulations that make such wounds eligible for the medal, an investigation by NPR and ProPublica has found. An NPR-ProPublica investigation found that soldiers with mild traumatic brain injuries don't always receive the Purple Heart. Soldiers have had to battle for months and sometimes years to prove that these injuries, also called mild traumatic brain injuries, merit the honor, our reporting showed. Commanders turned down some soldiers despite well-documented blast wounds that wrenched their minds, altered their lives and wracked their families. The Army twice denied a Purple Heart for Sgt. Nathan Scheller, though the aftereffects from two roadside explosions in Iraq have left him with lasting cognitive problems, according to the Army's own records. The 29-year-old former tank commander navigated an M1A1 Abrams through Baghdad's urban battlefield of bomb-strewn highways and sniper-filled alleys. Now he gets lost driving familiar routes around his home. An honor student in high school, he can no longer concentrate enough to read the adventure novels he once loved. "I don't see how somebody else can tell me that I don't deserve one," Scheller said of the Purple Heart. "I may not have wounds on the outside. But I have wounds on the inside." The denials of Purple Hearts reflect a broader skepticism within the military over the severity of mild traumatic brain injury, often described as one of the signature wounds of the conflicts, according to interviews, documents and internal emails obtained by NPR and ProPublica. High-level medical officials in the Army debated whether head traumas that are difficult to detect — often leaving no visible signs of damage — warrant the award, the emails show. Most people who sustain such blows, also known as concussions, recover on their own, but studies show 5 percent to 15 percent may have long-term impairments. 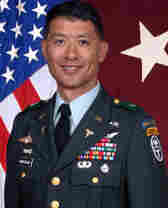 In 2008, Brig. Gen. Joseph Caravalho, then the top medical commander in Iraq, issued a policy blocking medical providers from even discussing the Purple Heart with soldiers who suffered mild traumatic brain injuries. Doctors were not barred from discussing the award with soldiers who have other injuries. "In many cases," Caravalho wrote that concussions with "minimum medical intervention will not warrant this award." Sgt. Nathan Scheller, 29, was twice denied for a Purple Heart, though roadside bomb explosions left him with lasting cognitive damage. "I don't see how somebody else can tell me that I don't deserve one," he says. 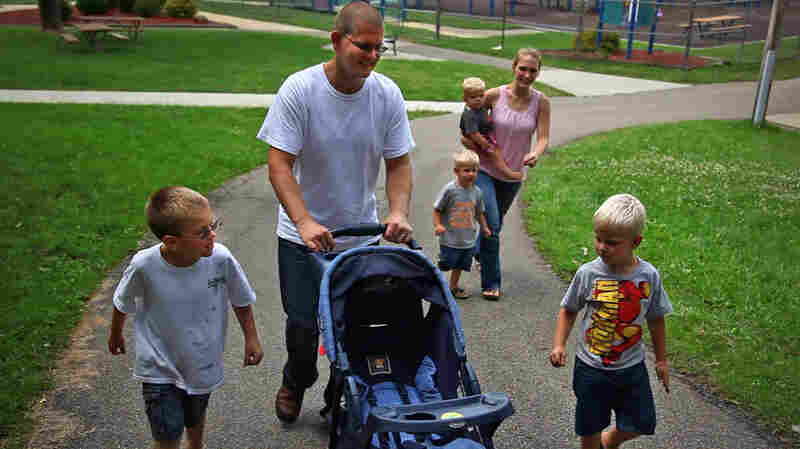 Above, Scheller walks with his wife, Miriam, and his family. His policy appears to contradict Army rules governing the Purple Heart. Army regulations say that a soldier is entitled to the Purple Heart if injured by hostile action. The soldier must require treatment — no matter how minimal — by a medical officer, and the injury must be documented. Medical officers can offer advice on whether an injury merits recognition. The soldiers' commanding general typically makes the final decision to award or deny a Purple Heart. The Army's official list of wounds that "clearly justify" the award includes, "Concussion injuries caused as a result of enemy generated explosions." In an emailed response, Caravalho, who now commands one of the Army's top hospitals, said he was trying to help medical personnel understand some of the complexities involved in the diagnosis and treatment of mild traumatic brain injuries. He did not specifically address whether his order created new restrictions on the award of the medal. "I was trying to make the point that medical providers in the field needed to ensure they documented the event, the findings and the treatment rendered," wrote Caravalho. "Without this corroborating documentation, I felt it would be increasingly difficult to support a Purple Heart request based solely on subjective, and potentially temporary symptoms." Army regulations say that a soldier is entitled to the Purple Heart if injured by hostile action. The soldier must require treatment — no matter how minimal — by a medical officer, and the injury must be documented. Gen. Peter Chiarelli, the Army's second in command, said it is "very, very clear" that soldiers who have sustained documented concussions from enemy action should receive the Purple Heart. He said he was not aware of Caravalho's order until NPR and ProPublica brought it to his attention. "This is a good catch," he said, saying he had asked Army lawyers to review the policy to see whether it should be changed. A Chiarelli spokesman said Wednesday that the review was continuing. Chiarelli, the Army's point man on the treatment of traumatic brain injury and post-traumatic stress, acknowledged there is ongoing resistance to awarding the Purple Heart for so-called "invisible" wounds. He saw it firsthand when he served as commander in Baghdad from 2004 to 2005 and said he overturned many denials for the medal stemming from concussion injuries. There has been progress since then, he said, but more work remains. "There still are some commanders, okay, who — and there may be some doctors, too — who don't feel that a concussion should entitle somebody for a Purple Heart," Chiarelli said. "But we have far more commanders that understand that the concussion is a real injury today than we had in 2004 and 2005." "We are moving in the right direction to fix this." Created by George Washington in 1782 and revived 150 years later by Gen. Douglas MacArthur, the Purple Heart carries extraordinary significance. Unique among military honors, it is an entitlement earned by all soldiers who meet the basic criteria. It does not depend upon a recommendation from a superior officer. The Purple Heart confers practical benefits, gaining recipients a higher priority in obtaining medical service from Veterans Affairs medical facilities. But for many soldiers, the Purple Heart is, first and foremost, a badge of courage: A tangible recognition of service, honor, and bravery. Nearly 25,000 soldiers have been awarded Purple Hearts for all types of wounds suffered in Iraq and Afghanistan, according to the Army's Human Resources Command. A spokesman said the military does not know how many soldiers have received the Purple Heart for mild traumatic brain injuries, or how many have been denied. He said the Army doesn't keep track. The number of Purple Hearts awarded is dwarfed by the number of soldiers who have suffered concussions. Official figures show about 90,000 Army soldiers have sustained mild traumatic brain injuries since 2002 — though all those soldiers likely do not meet the criteria for the award. Tens of thousands of additional troops have gone undiagnosed, NPR and ProPublica reported in June, based on unpublished military studies, internal emails and interviews. Some soldiers who have suffered mild traumatic brain injuries have received Purple Hearts. Sgt. Victor Medina, who was profiled in a previous story by NPR and ProPublica, received his award after his wife wrote to his commander insisting that he deserved the recognition. "It would have been easier to get one if I had lost an arm or a leg. Then they could have seen it," Medina said. The military's regulations to document the wound and treatment can make it difficult for someone with a mild traumatic brain injury to prove that the award criteria are met. Treatment for a head injury in the immediate aftermath of combat can be as little as bed rest, or pain medications which are not always noted in medical records. Once they return home, some soldiers don't realize they have problems until months or years after the injury — making it difficult to prove a link between the blast and their symptoms. Sgts. James Hopkins and Derrick Junge are among those who have been diagnosed with concussions, but were passed over for the Purple Heart. Hopkins and Junge suffered their injuries in January 2009 when a rocket slammed into a wall near their trailer at Camp Liberty in Baghdad. At the time, a senior Army neuropsychologist, Lt. Col. Mike Russell, was conducting a study on concussions. He diagnosed the men and three fellow soldiers as having suffered mild traumatic brain injuries during the attack, according to medical records. Yet only one soldier in the trailer, who suffered shrapnel wounds in the attack, received the medal. The other men have been turned down by senior commanders. Sgt. Derrick Junge was diagnosed with a concussion, but passed over for a Purple Heart. Junge has not received rehabilitation or treatment for ongoing medical difficulties, and he struggles with simple tasks. Hopkins received a form letter telling him that his documentation was not sufficient. The letter did not tell him what documents he was missing or exactly why he was denied. "I'm over there. I'm doing what I'm supposed to do. I'm giving everything that I'm supposed to," said Hopkins. "But I feel I'm not getting that same thing in return." Hopkins had splitting headaches and trouble walking for days after the explosion. He still forgets details today. He repeats himself in conversation, forgetting what he told his wife moments ago. Not getting a Purple Heart, he said, "That's a big slap in the face." Like many soldiers who suffered a concussion, Junge has trouble remembering details of what happened after the explosion. He believes a medic might have given him headache medication, but has no documentation of the treatment. Nor has Junge received rehabilitation or other treatment for ongoing mental difficulties. A former B-2 bomber mechanic, he struggles with simple tasks, such as building a tree house for his kids. He gets irritated easily. He forgets details and the names of common household items. Junge said he didn't see a doctor because he wanted to keep leading his unit. "As a soldier, you're expected to be a certain level of tough. It's across the board from top to bottom. If it's not a visible injury, it's kind of looked as a non-injury," he said. "For soldiers, it's like, are you a puss?" For the families of soldiers with mild traumatic brain injuries, the Purple Heart is sometimes the only outward sign of the serious internal trauma endured by their loved ones. It would have been easier to get [a Purple Heart] if I had lost an arm or a leg. Then they could have seen it. "He thinks nothing is wrong. And it's like, I'm married to a totally different person," said Holly Junge, Derrick's wife, breaking down in tears as she spoke. "That's scary." Junge is scheduled to deploy back to Afghanistan later this year. Congress, the military and veterans groups have wrestled for decades over how to define which injuries are worthy of the Purple Heart. After the 1989 invasion of Panama, a debate erupted when a soldier received the medal for heat stroke. Two years ago, an Army psychologist raised a furor by suggesting that the Purple Heart should be given to soldiers suffering from post traumatic stress disorder, or PTSD. The Pentagon specifically banned giving the award for the disorder, saying that PTSD is a secondary effect not directly caused by the enemy. The decision remains controversial. Mild traumatic brain injuries, however, are not supposed to be part of the debate. For at least 50 years, military regulations have recognized concussions as an injury meriting the Purple Heart. But now, in wars in which roadside bombs are the enemy's best weapon and with tens of thousands of soldiers suffering mild traumatic brain injuries, some military officials argue that giving the Purple Heart for concussions would lessen its value, according to sources and internal documents reviewed by NPR and ProPublica. 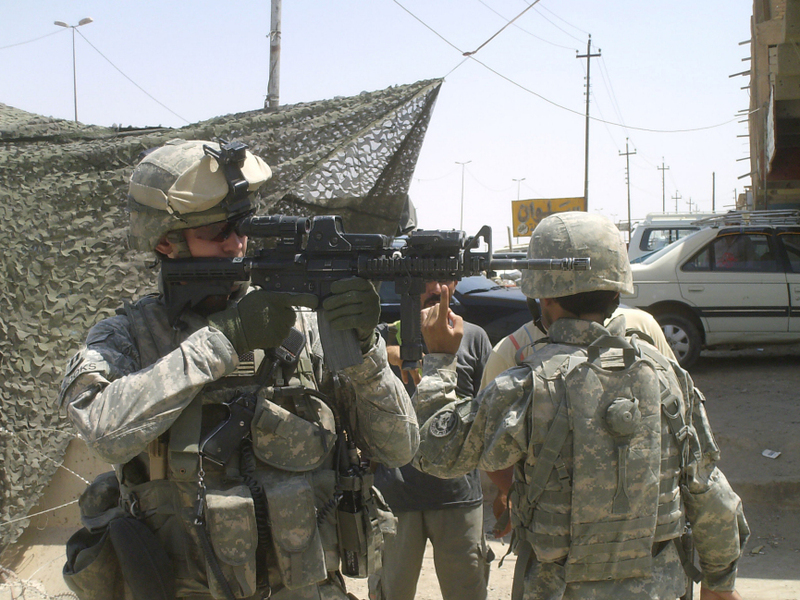 Mild traumatic brain injuries have become more common in Iraq and Afghanistan because of insurgents' heavy use of explosive devices and armor which has better protected soldiers from life-threatening injuries. In late 2007, Col. Edward Neely, an Army neurologist then serving in Iraq, sent an impassioned email to a group of fellow medical officers with the subject line "More Purple Hearts for Those Who Deserve It." Neely said some senior medical officials opposed giving out the Purple Heart for invisible injuries. He said one fellow medical officer — whom he did not identify — told him that he feared creating "another John Kerry" by giving out the Purple Heart for concussions. During the 2004 presidential campaign, some political opponents mocked Sen. Kerry, D-Mass., the Democratic nominee, for receiving three Purple Hearts for shrapnel wounds he got during the Vietnam War, which critics deemed too minor to deserve recognition. In the last of these actions, Kerry also received a Bronze Star. "We need to give these troops" the Purple Hearts "they rightly deserve," Neely wrote. Neely declined to comment for our story. But a fellow officer said that "no more John Kerrys" became a catchphrase among some medical officers in Iraq who felt that mild traumatic brain injuries were not serious enough to merit Purple Hearts. The officer, who did not want to be named for fear of damaging his career, said commanders often relied on technicalities to block awards. For instance, the military defines a "medical official" as a physician with officer rank. That means that soldiers treated by nurses or combat medics would not necessarily qualify. There was a push by higher level commanders to not be seen to be giving [Purple Hearts] out for just any old injury. "They were trying to find ways not to give the Purple Heart," the official said. "There was a lot of semantics going on." Russell, the Army neuropsychologist, and Col. Rodney Coldren, an Army epidemiologist, alluded to this attitude at the 2009 National Academy of Neuropsychology conference. They told the audience that the Purple Heart "clouds everything" in diagnosing concussions in the field. 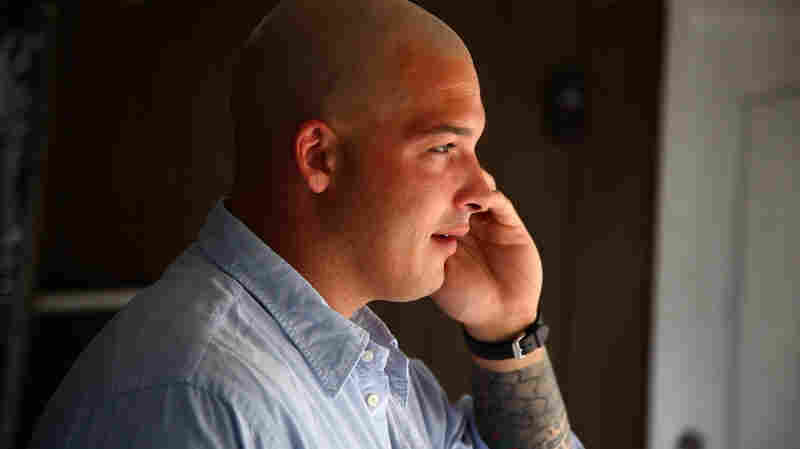 Coldren, who traveled to Iraq in 2009 to study testing for mild traumatic brain injuries, said he found "vast under-diagnosis" of concussions, and not just because electronic reporting systems were failing. "Another issue we found in Iraq as far as under-diagnosis is the issue of the Purple Heart," Coldren said, according to a transcript of his remarks obtained by NPR and ProPublica. "There was a push by higher level commanders to not be seen to be giving these out for just any old injury." When contacted by NPR and ProPublica, both Coldren and Russell declined through spokesmen to comment on their remarks. Veterans groups that focus on the Purple Heart support awarding it in cases of concussions, as the regulations spell out. "A guy rolls over an IED and maybe the concussion isn't so bad, but he can't go back to work the next day," said John E. Bircher III, spokesman for the Military Order of the Purple Heart, a congressionally chartered veterans group. "He's entitled to a Purple Heart, [just like] the guy who gets hit by shrapnel and gets six stitches and goes back to work right away." Other veterans groups expressed anger that soldiers with brain injuries were not being recognized for their wounds. "It's an outrage," said Paul Sullivan, a former Department of Veterans Affairs official who now heads Veterans for Common Sense, an advocacy group. "What I'm afraid of is that the military intentionally is concealing casualties in order to conceal the enormous human costs of the Iraq and Afghanistan war." The system for awarding Purple Hearts can be opaque, especially for soldiers in war zones. They often do not get a response in writing, receiving only verbal notifications that they have been turned down. Even when they do get letters, the reason for denial can be vague, such as a lack of proper documentation. NPR and ProPublica contacted more than a dozen officers to determine who, exactly, had turned down the Purple Heart applications of Scheller, Hopkins, Junge and other soldiers. The officers either did not comment, or said they could not recall the cases. Soldiers turned down for the Purple Heart can appeal, but face a grinding administrative battle to reverse the decision. If they have no documentation of their wounds, they must find witnesses and gather sworn statements, an especially daunting task for those who have cognitive deficits as a result of brain injuries. Capt. Jonathan Brooks fought for 14 months to receive a diagnosis confirming that he suffered a concussion that resulted in lingering symptoms. His wife, Jayna, applied for the Purple Heart, and the process was so complex that she co-founded a group, Recognize the Sacrifice, to help other soldiers apply for the medal. After surviving two roadside blasts in Iraq in 2008, Capt. Jonathan Brooks fought for 14 months to receive a diagnosis confirming that he had suffered a concussion that resulted in lingering symptoms. 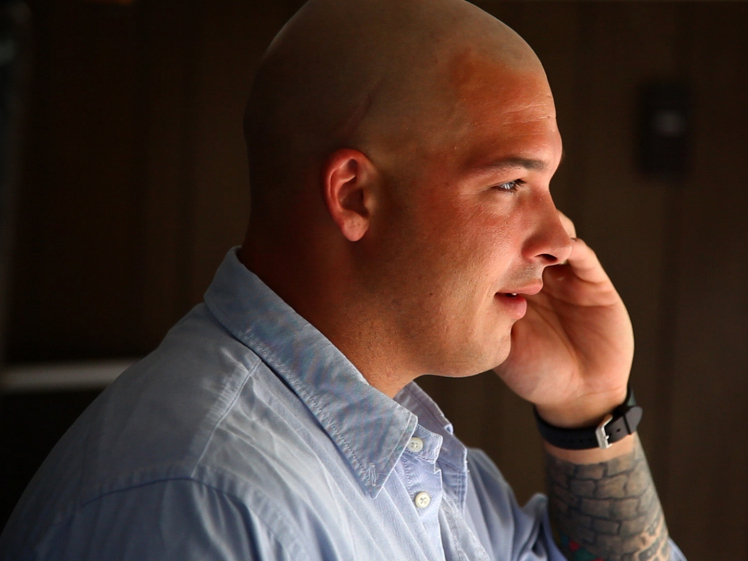 His wife, Jayna Moceri Brooks, decided to apply for a Purple Heart. The process was so complex that she co-founded a group, Recognize the Sacrifice, to help other soldiers apply for the medal. Brooks, a registered nurse who has worked in military hospitals, said the recognition was worth the effort. "A Purple Heart medal would symbolize support from the Army and from the greater civilian community as we endure the frustrations and hardships of living with a [traumatic brain injury]. It's pretty lonely without having that official recognition and support," Brooks said. "It's exhausting to have to fight and ask for everything ourselves." Last year, Rep. Bill Pascrell, D-N.J., the co-chairman of the Congressional Brain Injury Task Force, demanded that the military explain how it decides whether soldiers with mild traumatic brain injuries are awarded the Purple Heart. A Purple Heart medal would symbolize support from the Army and from the greater civilian community as we endure the frustrations and hardships of living with a [traumatic brain injury]. It's pretty lonely without having that official recognition and support. The military's report, delivered in June, noted that the Army and other service branches had different requirements. The Marine Corps, for instance, requires that a service member must have been knocked unconscious to receive the Purple Heart for mild traumatic brain injury. Yet, according to an internationally accepted medical definition, a person can suffer a mild traumatic brain injury with or without a loss of consciousness. Pascrell said he is pressing for consistent regulations regarding the Purple Heart. He called the military's report "unacceptable." "There are people being overlooked because of the criteria being so vague," Pascrell said. "We have let too many of our soldiers fall through the cracks and it's not acceptable." Michelle Dyarman is one of those soldiers. 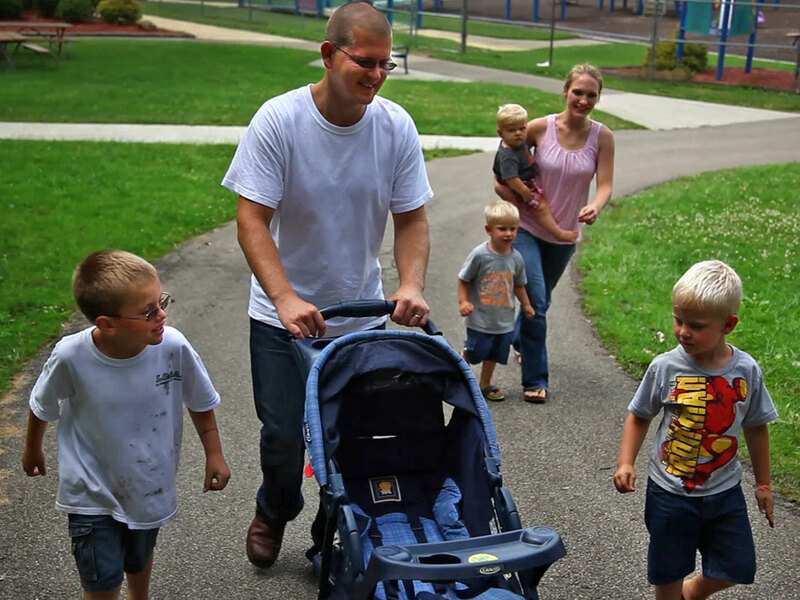 A major in the Army reserves, Dyarman was injured by two roadside bombs in Iraq in 2005. After years of fighting with the military, she was eventually diagnosed as having suffered a mild traumatic brain injury that caused lasting cognitive problems. Dyarman still has trouble concentrating, following directions and remembering words. She is still fighting. Commanders have repeatedly denied her application for a Purple Heart, sending her into a bureaucratic maze. The Purple Heart, she said, would prove to everyone what she already knows: She sacrificed for her country. "I know I'm not the only one it happened to," she said. "It's very frustrating. It's very disappointing." The Purple Heart is frequently described as the military's oldest medal. Gen. George Washington created it in 1782 to recognize meritorious service -- basically bravery in combat -- but it soon fell into disuse. In 1932, to mark the bicentennial of Washington's birth, Gen. Douglas MacArthur spearheaded an effort to revive the medal. It was designed to commemorate bravery, but also recognized soldiers with wounds. Later, during World War II, the medal was changed into a recognition of combat injuries and deaths. Over time, the military has further modified the award, adding different types of injuries and different types of combat. For instance, soldiers wounded in acts of terrorism now qualify for the Purple Heart, as do soldiers injured in friendly fire. An individual soldier can apply for a Purple Heart, but more commonly, command superiors submit an awards package demonstrating that the soldier has met all criteria for the award. A superior officer can deny a Purple Heart, but such denials usually require review and then concurrence by a General-level officer. The process can differ by branch and by theater of operations. Today, the military has awarded an estimated 1.7 million Purple Hearts to soldiers, sailors, Marines and airmen. Unlike other military awards, the Purple Heart is an entitlement -- it does not depend upon the recommendation of a superior officer. Instead, the military gives it to those troops that meet basic criteria. In general, the wound must have occurred during hostilities and it must have required treatment that was documented by a medical officer. The exact number of Purple Hearts awarded is not tracked by The Pentagon, nor is the type of injury a soldier has suffered. Thus, it is not clear how many soldiers have received the Purple Heart for mild traumatic brain injuries, or how many applied but were denied. Soldiers who receive a denial must first appeal through their chain of command. Beyond that, a soldier can appeal through the Army Human Resources Command, and depending on the time of the injury, different boards may review an appeal before making a final decision. This process can take months, even years. Below, a timeline of the Purple Heart through history. Aug. 7, 1782: George Washington issues order to create the Badge of Military Merit to recognize meritorious action. Only a handful of soldiers are known to have received it. Feb. 22, 1932: Gen. Douglas MacArthur revives the Purple Heart on the bicentennial of Washington’s birthday. The medal is primarily designed to recognize meritorious service. The Purple Heart is also given to soldiers wounded or killed in battle. MacArthur is given Purple Heart No. 1. Apr. 28, 1942: Military allows posthumous award of Purple Heart after heavy loss of life at Pearl Harbor. Sept. 4, 1942: War Department designates the Purple Heart exclusively for wounds or deaths in combat. Aug. 2, 1943: John F. Kennedy was wounded in action that resulted in a Purple Heart. He is the only U.S. president to have received the honor. Aug. 15, 1944: Maj. Gen. Robert T. Frederick is awarded his eighth Purple Heart. That is believed to be the record for any soldier in a single conflict. 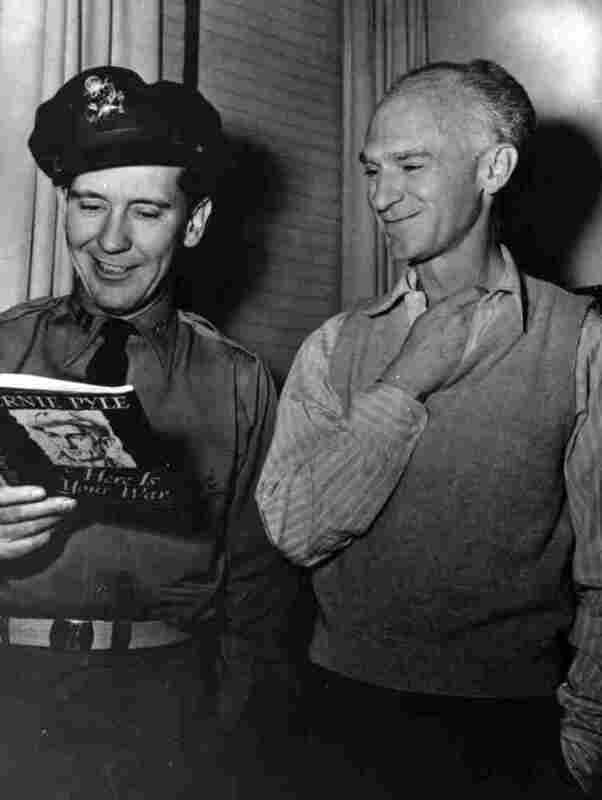 April 1983: War correspondent Ernie Pyle was awarded the Purple Heart. Civilians are no longer given the Purple Heart. Pyle, who wrote for the Scripps Howard news service, was killed in April 1945. Feb. 23, 1984: Ronald Reagan signs an executive order allowing the Purple Heart to be issued for injuries suffered as a result of terrorism. Dec. 20, 1989: A U.S. soldier suffers heat stroke during an invasion in Panama and is awarded Purple Heart. The outcry from veterans groups leads the Army to exclude heat stroke as eligible injury. 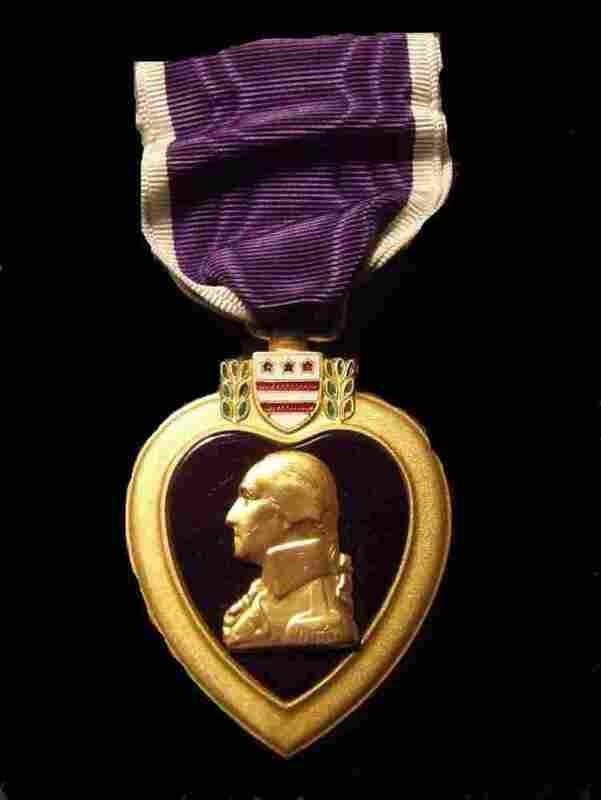 1996: Regulations are amended to allow prisoners of war to receive the Purple Heart. May 2008: Brig. Gen. Joseph Caravalho issues a policy which suggests that "minimum medical treatment" is necessary to award the Purple Heart to soldiers with mild traumatic brain injury. Such language is not part of official Army regulations. That same month, an Army psychologist suggests that the Purple Heart be awarded to soldiers suffering from post traumatic stress disorder, or PTSD. A Pentagon panel later nixes the idea, declaring that PTSD is a "secondary effect" to enemy action which wounds a soldier. Jan. 2009: Recognize the Sacrifice, a website, is founded to help soldiers with mild traumatic brain injury apply for the Purple Heart. For Military Merit: Recipients of the Purple Heart, by Fred L. Borch, 2010. The Legacy of the Purple Heart, edited by Gardner Hatch, 1987.